Think about how rich you’d be if you knew how to get rid of dust inside the house. Now let’s be realistic, that sounds impossible. The truth is that you can get rid of dust inside the house to a certain extent, but you’re unlikely to remove 100% of dust. As someone with severe allergies, I’ve gone from having a lot of dust inside my house, to having very little. I’ll share my tips for minimizing dust inside the house and let you know what didn’t work. I’d like to share how I grew up because there was dust, lots of it. My family worked hard and came home on weekdays looking to spend time together and enjoy a meal. During the week there certainly wasn’t time to clean up. On the weekends my family was busy with outdoor activities and although we cleaned every weekend it wasn’t enough. We had carpeting thorough our house and as I’ve learned carpets are notorious for catching and holding onto dust (they are a real pain to keep clean). My weekly chores including cleaning my room and dusting but I wasn’t very good at cleaning. I remember looking at my head board coated in dust and wondering why there was so much. What was dust coming from? As I grew older I began having health problems. It was allergies and I was allergic to dust. I received advice from my allergist to get rid of carpets, fabric couches, and extra pillows and stuffed animals. I look around the house and realized that the house was set up for dust – lots of it! In the years that followed, I learned how to effectively get rid of dust in the house. I used strong allergy filters, changed to hardwood floors, and began keeping my dog outside (yes it was sad but pets produce a lot of dust inside). In the sections below I’ll share what worked for me! First things first: It’s impossible to remove all dust from your home. 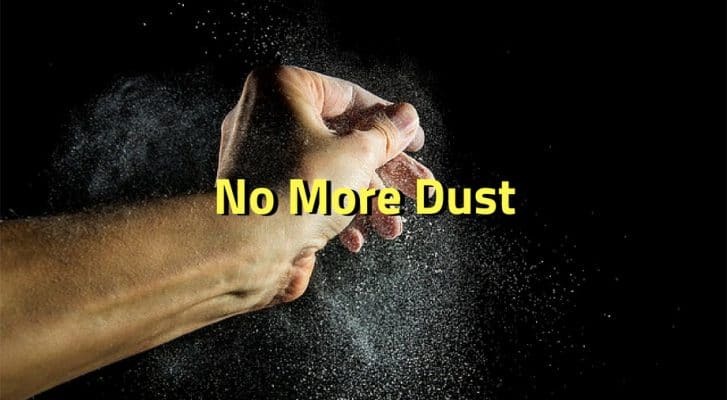 One of the main components of indoor dust is human skin, and your skin is being shed continually 24 hours a day. With this in mind, regular cleaning should be done. Regular cleaning should be weekly, not every 2 weeks or every month. If your household has the luxury of having a cleaner, then you’re lucky. For the rest of us, we’ll have to put in some hard work to reduce dust. However, it doesn’t have to be hard work. Making a few changes in the products we use can help use keep your homes clean and more hygienic. I understand, getting rid of carpeting and installing another type of floor is a big commitment. It might even cost you a lot of money. But I’ve removed multiple carpets from floors and what I always see disgusts me. Even in the cleanest homes carpets are filthy. Most people keep the same carpet for at least 10 years. The dirt and dust builds up. To make matters worse, every time we walk on carpets we create little clouds of dust. The dust can stay suspended in the air for hours before it settles again. When I made the change to hard floors (linoleum, wood, or tile) I felt better immediately. I could also feel a difference in my breathing (I have bad allergies). Most people don’t think twice about their HVAC filter. HVAC stands for “heating, ventilation, and air conditioning” and they require filters every 3-6 months depending on their use. Did you know there are super strong allergy filters that can be used to reduce dust in the house? When an HVAC is turned on it creates air flow in the house. Air from the house is sucked into the “intake” where it passes a filter then heated or cooled. If you’re using a standard HVAC filter you won’t be catching dust. If you’re using a high-quality HVAC filter then you’ll be cleaning your house and reduce the amount of dust in the air! The best HVAC filters have the ability to capture pollen, dust mites, bacteria, odors, and smoke. They are a little more expensive but do wonders to reduce dust around the house. Try using a filter during the summer or winter and witness a reduction in dust around your house. Dust in homes comes primarily from our own dead skin, not from dirt outside. However, that doesn’t mean that dust can enter our homes. Keeping the windows and doors closed allows us to use the HVAC (with good filters) and clean the air in our homes. If you live in a city or near a busy road you’ll have much more dust floating in your air than if you’re in a rural area. If you leave your doors and windows open in the city you’ll have more “pollution-type dust” that could be hazardous to health. The last thing I wanted to do was to kick my dog out of the house. After learning how much pets add to dust in the house I had no choice (of course I cheated sometimes). Pets like dogs and cats produce a lot of dander. Dander is the combination of hair and skin flakes that add to dust throughout our homes (air purifiers can help collect dust and dander). We only notice the hair, but their shed skin can create much more dust than the hair we see. 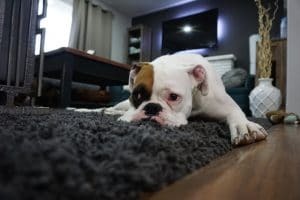 If dust is your priority you’ll need to figure out a way to reduce your pet’s presence indoors. Or be prepared to clean 2-3 times per week to keep dust levels low. Everyone vacuums. It’s part of being a responsible homeowner or tenant. Did you know that most vacuums don’t stop dust? Some vacuums even create more dust by blowing it around the house. If you purchase a vacuum to reduce dust levels in your home, make sure it uses a HEPA filter (HEPA stands for high-efficiency particulate arrestance). HEPA filters get the smallest of dust particles like pet dander and dust mites. If you have allergies a HEPA filter is essential! Our beds are a major source of dust. Did you know that a 2 year old pillow can be made up of 15% weight of dust mites and feces? Keep your bed dust-free and you’ll help get rid of dust in your house. Using dust mite covers on pillows, blankets, and mattresses can keep dust, pet dander, and dust from working its way into your pillows and mattresses. Dust proof covers can significantly improve bed hygiene and health. 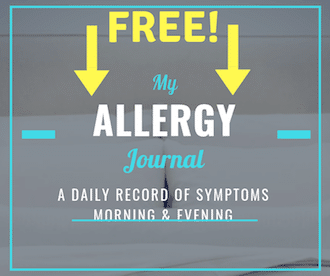 For dust allergy sufferers, this is probably the single most important thing you can do to improve your sleep! This investment could pay off quickly by reducing dust in your house and reducing the chance of allergy. Dust is almost possible to get rid of in the house. If I knew how to get rid of dust 100% I’d be a wealthy man. Even if you can’t get rid of all dust, you can still take action to minimize dust. I was blown away after removing my carpets and rugs and opting for hard flooring. HVAC allergy filters also worked well for me and I could feel the difference in the air. After using good filters in my HVAC I had to change them more often because they caught so much dust. Pets are hard to keep outside but depending your dust levels it may be another option. Dustproof covers can protect your pillows, mattresses, and blankets by preventing dust from entering (or exiting your bedding). Lastly, keep your doors and windows closed and always use a vacuum with a HEPA filter. The special filter will collect the smallest dust particles. I hope this article helps you get rid of dust in your house. Due to my allergies, I had to make a number of changes to my home and the dust levels dropped immediately! Feel better inside your home knowing that you’ve done everything possible to reduce dust!